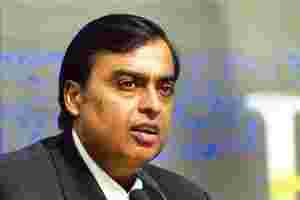 Mumbai: The country’s largest private company by market value, Reliance Industries Ltd (RIL), on Thursday posted the smallest profit increase in at least 10 quarters as it earned less from processing crude oil into fuels, although revenue jumped 40%. Net profit rose by a modest 7.42% from a year ago to Rs4,122 crore in the quarter ended 30 September, in line with analysts’ consensus estimates. Revenue rose to Rs44,790 crore as Reliance rode a surge in its refining business. Billionaire Mukesh Ambani’s Reliance will complete the world’s biggest refining complex next month, almost doubling capacity at a time when the worst financial crisis since the 1930s is cutting global fuel demand. Some analysts say crude may fall to $50 (Rs2,490) a barrel, extending the 47% slump in three months and reducing profit from turning each barrel of oil into petrol and diesel. “At Reliance, we are at the final leg of capital expenditure in our key businesses and will see cash flows from these investments in the following quarters," Ambani said in a statement. Profit from processing every barrel of crude oil fell to $13.4 from $15.7 a year earlier, spokesman Paresh Chaudhry said by telephone. “Leading economies across the globe are passing through some unprecedented times," Ambani said. “Our businesses are gearing to meet these emerging challenges." Reliance said it managed to sustain margins on the back of “efficient sourcing of crude oil and flexibility in its crude bucket, product slate and evacuation infrastructure". The company has incorporated wholly-owned subsidiaries in two global markets—London and Singapore—to tap emerging opportunities in global markets of petroleum products. On the Bombay Stock Exchange, Reliance shares have faced the brunt of the recent bear hammering, losing 43.23% of their value from 1 September till date. On Thursday, the company’s shares lost 7.62% to close at Rs1,215.25, its lowest level since 12 December 2006. The Sensex, the exchange’s 30-stock benchmark in which Reliance has a 12.84% weightage, fell 3.92%, or 398.20 points, to 9,771.70. For the six months to 30 September, Reliance’s revenue from refining and marketing increased by 50% to Rs68,980 crore from Rs45,903 crore. Increase in prices accounted for 43% of the revenue growth, while higher volumes accounted for 7%, the company said. Reliance made a provision for depreciation of Rs798 crore for the half year towards revaluation of its plant, equipment and buildings. Reliance, which has about a 70% stake in Reliance Petroleum Ltd, has completed building 97% of a 580,000 barrels per day (bpd) refinery complex at Jamnagar in Gujarat, and is expected to start production by end-November. It also started oil production from its Krishna-Godavari (KG) basin on 17 September and has since doubled production to 10,000bpd. The company is also ready to start gas sales from the KG basin, but is currently pumping gas back into the sea bed as it cannot commercially exploit it till court cases with Ambani’s younger brother Anil Ambani’s Reliance Natural Resources Ltd and National Thermal Power Corp. Ltd are settled. “New capacity has coincided with a recession in the developed world and a slowdown in the developing nations is unfortunate," said P. Phani Sekhar at Angel Broking Ltd, who helps manage the equivalent of $12 million in stocks in Mumbai. Archana Chaudhary works with Bloomberg.